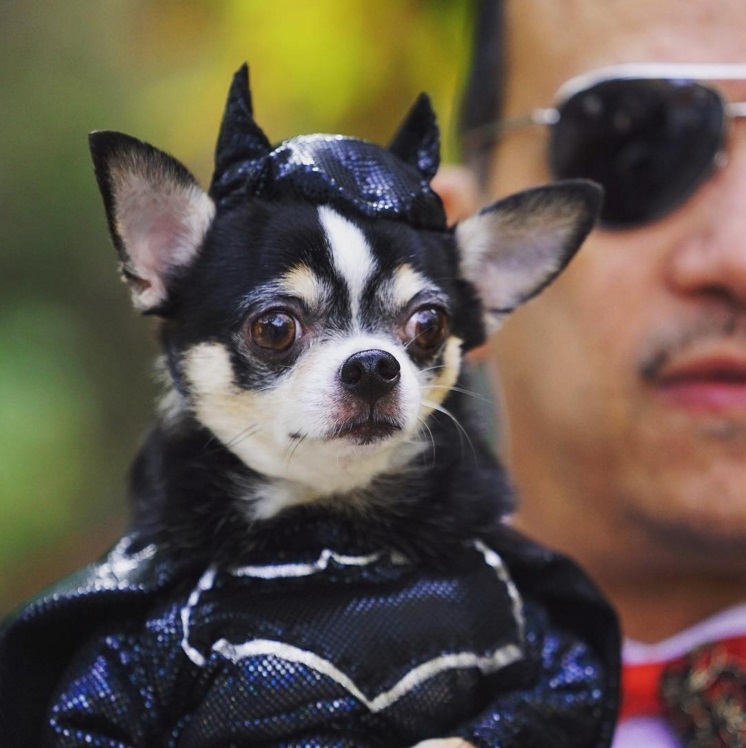 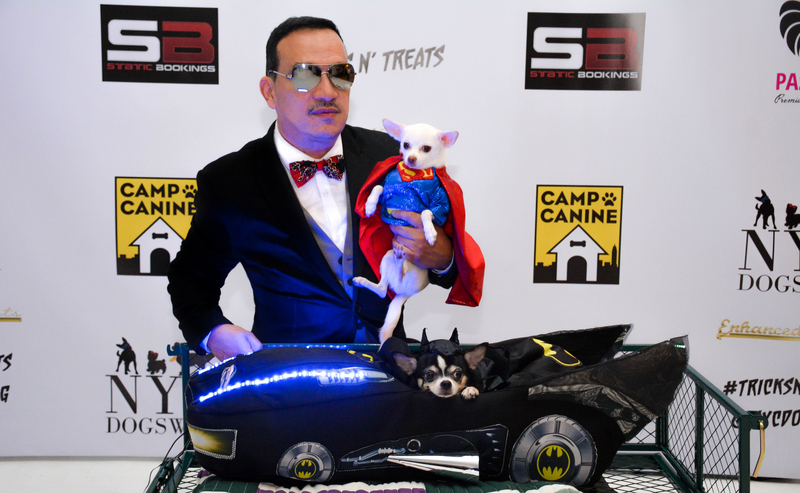 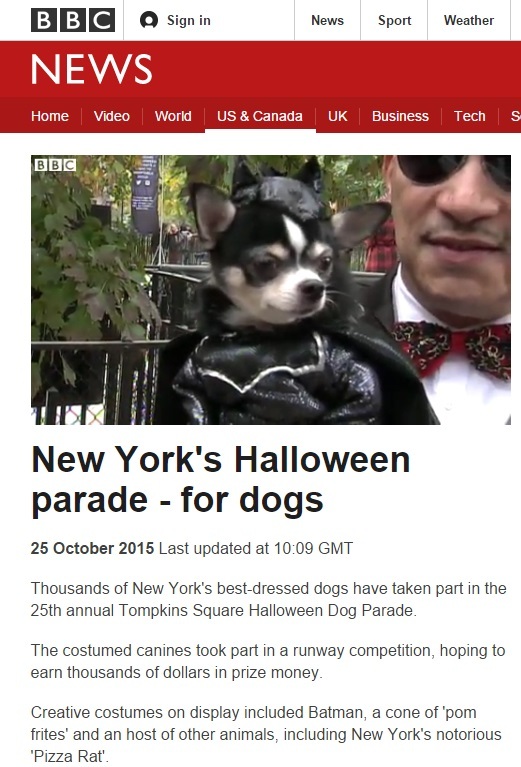 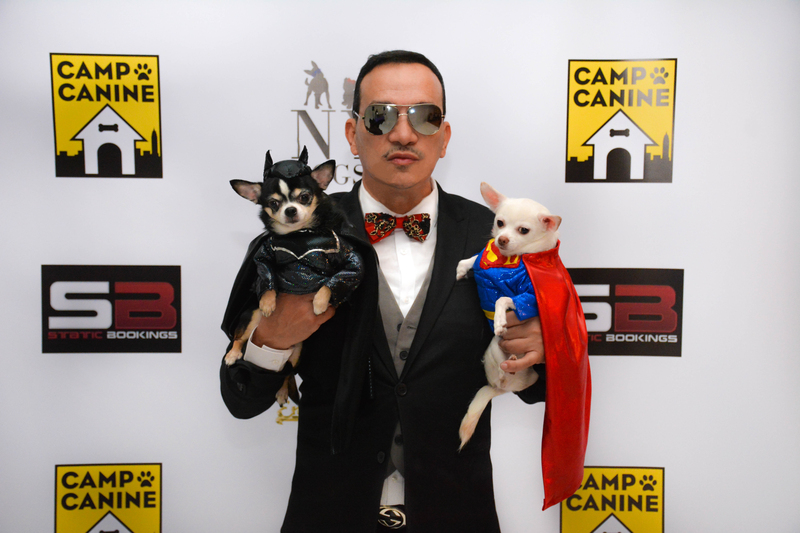 #Chihuahua Bogie is Ben Affleck’s Batman from the forthcoming film Batman V Superman. 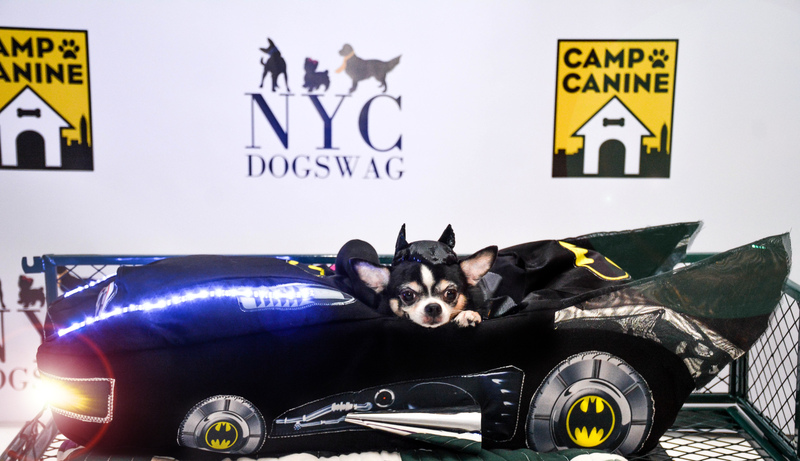 As you can see, Bogie has been weight lifting to prepare for the role. 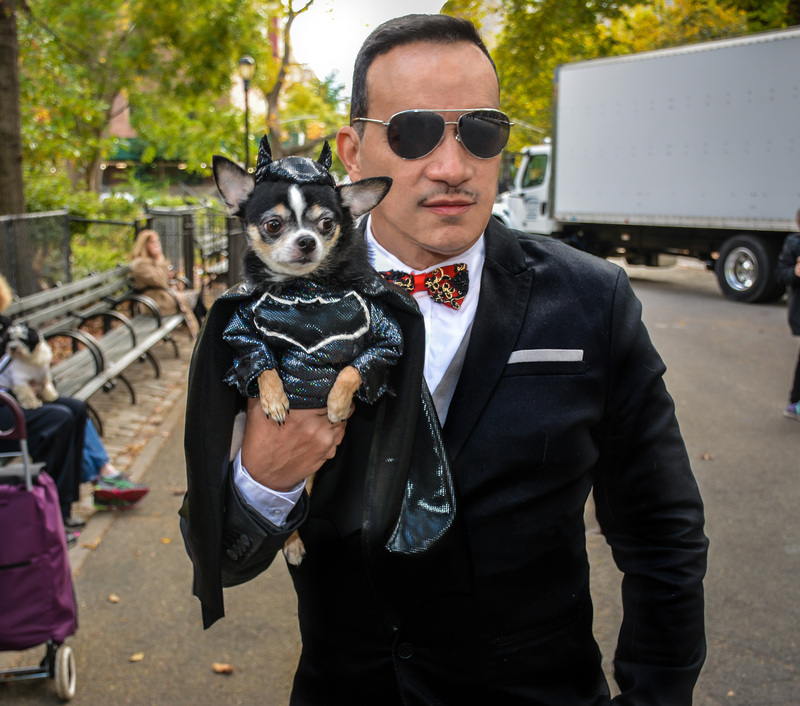 Photo taken today at the Tompkins Square Halloween Dog Parade. 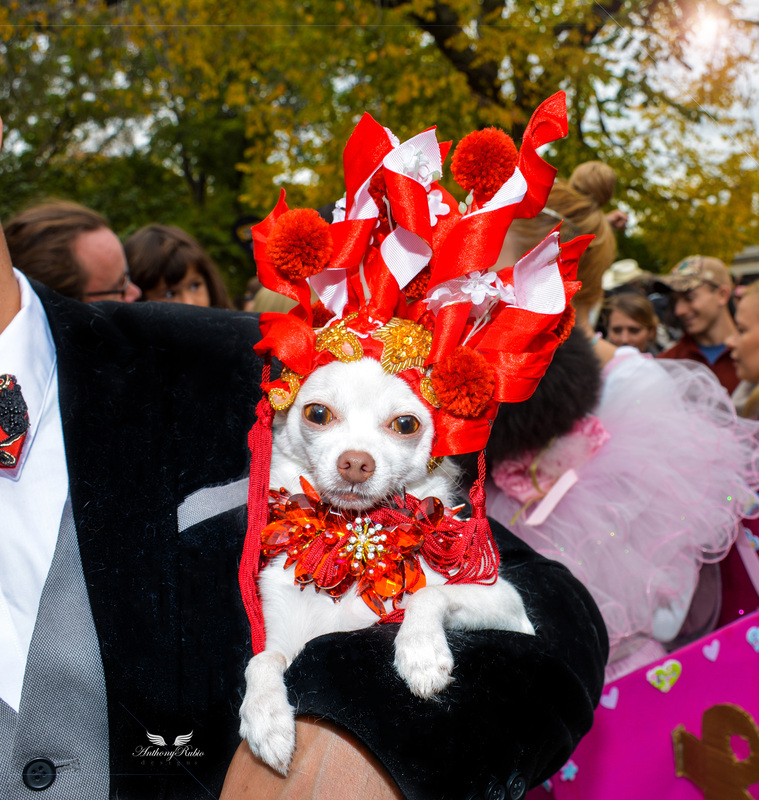 Due to popular demand Kimba had a last minute change of Halloween Costume which proved wiser did garnered much attention. 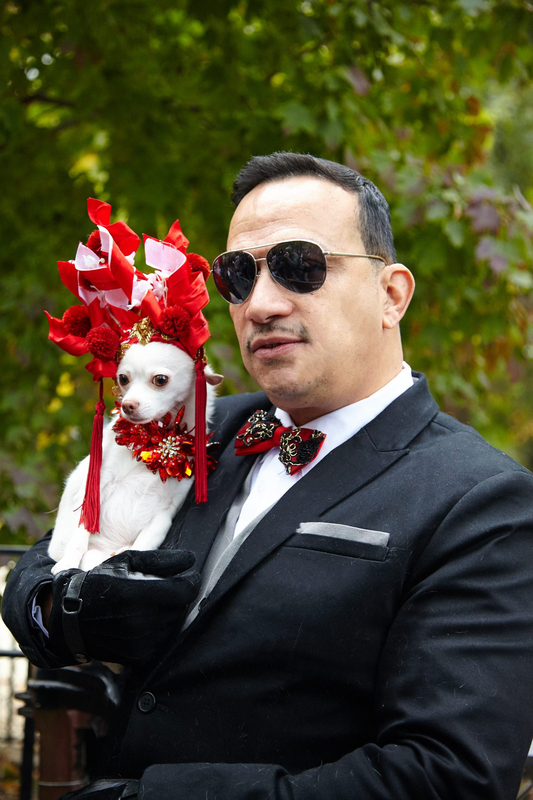 Kimba as “Sarah Jessica Barker” attending the Met Gala in that fabulous much buzzed about Headdress.